A perfect complement to Winter into Spring occasions - be it dressy or casual. 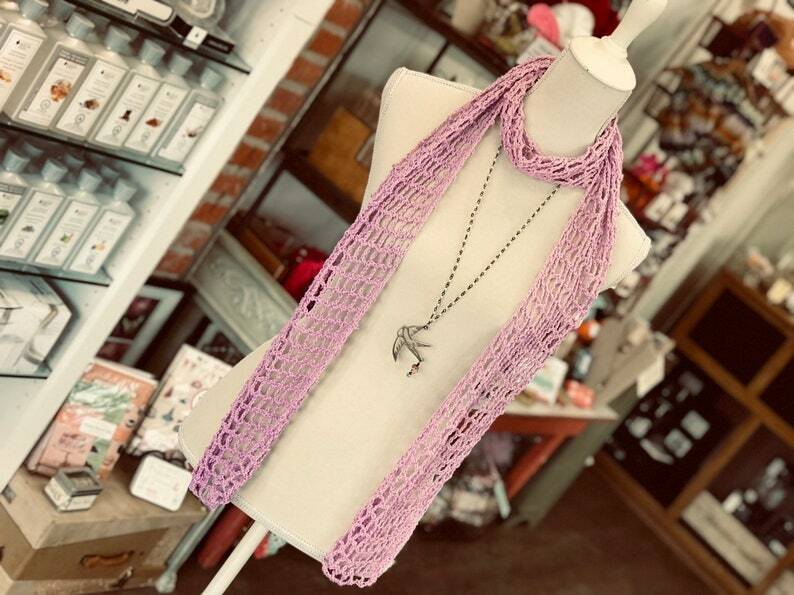 This pretty and lightweight crochet scarf is a novelty designer blend of linen/acrylic in a beautiful orchid purple. Extra long! Measures approx 78” in length with a bit of stretch. Necklace shown is sold separately; message us for more details & availability. We use quality gift wrap for any occasion. Bulky items are paper wrapped with a bow and soft goods, like towels are are bagged in cello with bow. 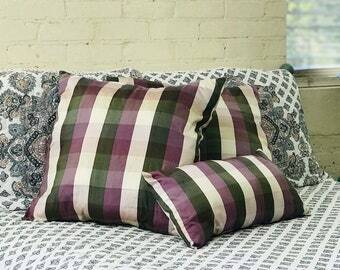 Very good and detailed pattern. I am looking forward to seeing the finished design! Very pleased with the beautiful velvet ribbon--just what I was looking for! We accept Paypal and Visa/MC/Amer Exp. Because of the unique nature of these items, returns are not allowed; should you receive an item damaged, I will refund payment in full if photo documentation is sent to me or the item is returned. Cancelled orders, whether it's a change of heart or misreading the listing, are subject to a 10% restocking fee. I ship "best way" which may be UPS or USPS within the continental US; if you have a special shipping requirement or time frame, please contact me BEFORE ordering; I will respond to you within a couple hours during normal business hours. With the exception of my patterns which are transmitted electronically, I generally do not ship internationally due to the cost. If you make a request; please keep in mind I typically ship USPS Priority Mail and it sometimes cost double the price of the item. All prices are firm; please do not ask. I do not accept trades of any kind. I can combine on shipping but keep in mind most items do have a reduction for multiple purchases.